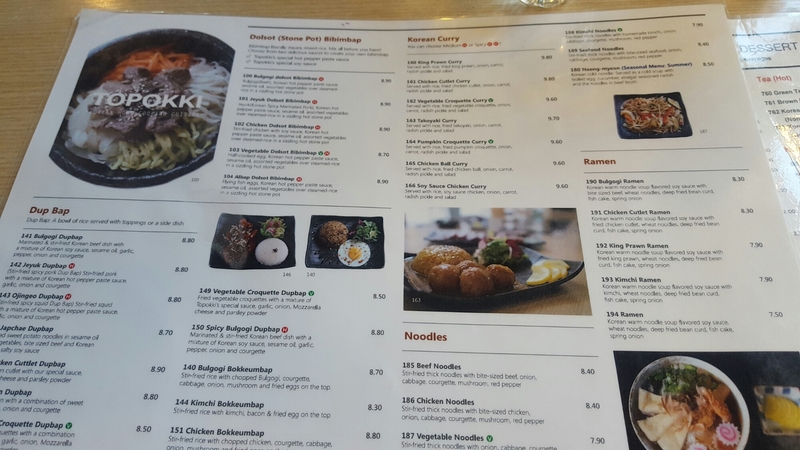 I love Asian food and can’t believe I hadn’t tried Korean food until I’d moved to Birmingham. On top of this, it’s taken me 3 visits to Topokki and 3 lots of photo taking to do a review post. Topokki is on the main strip in the Chinese Quarter of Birmingham. They serve kimchi, dup bap, bulgogi and Korean barbecue. They’ve also recently started serving sushi between Wednesday and Sunday. Bulgogi is a ““Rice bowl dish” consisting of meat, vegetables or other ingredients served over rice.” – Topokki. Kimchi was ever the rage in 2015, it can be described as sour and spicy, feremented vegetables. 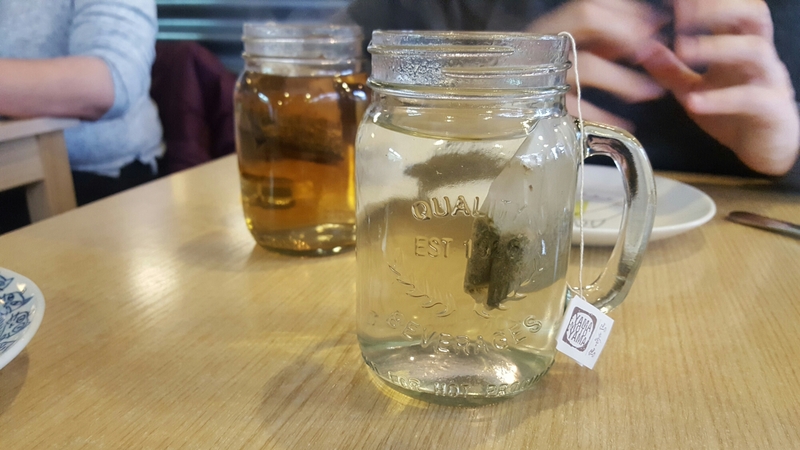 I started off with a brown rice tea, that can be refilled throughout the meal. I first had brown rice tea in Lake Garda, Italy about a year ago and haven’t looked back since. It’s quite nutty and creamy. I’ve also had the same thing three times. I know it’s terrible and I should branch out, however I can attest that the Korean spicy chicken is amazing! The menu is quite detailed, and the staff are more than accommodating in explaining it. We had the edamame beans and pork dumplings. The pork dumplings were lovely and crispy, and it was a pleasant suprise to get 7 pieces, as the typo on the menu said 5. Last time I was there I had the bulgogi dupbap. It’s beef pieces marinated in a mixture of soy sauce, sugar, sesame oil, garlic and pepper. 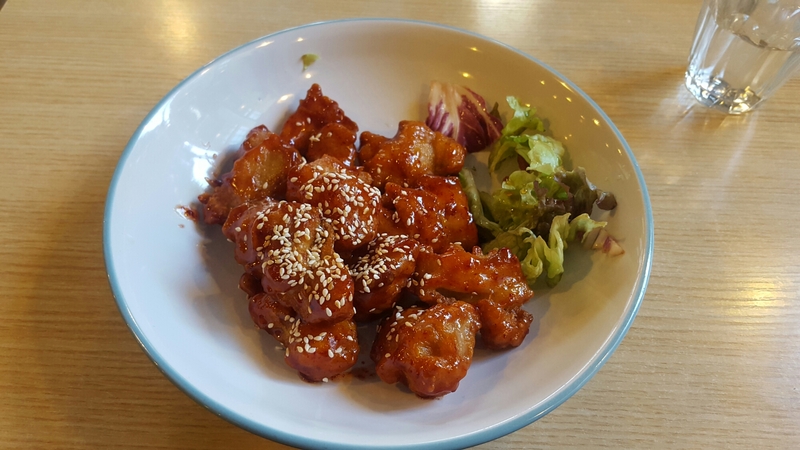 If you are looking for a Korean restaurant in Birmingham, particularly close to the City Centre, look no further than The Chinese Quarter. I would highly recommend the laid back, casual dining Toppoki offers. It’s speedy, tasty and really affordable. Students you will love this one! They are located at Unit 1C Hurst St, Birmingham B5 4TD. They are about 5 minutes walk from Birmingham New St Station and The Bullring Shopping Centre. The only fault that really nagged, was seeing a waiter being told off on several occasions on the restaurant floor. It was a bit uncomfortable for diners to see this. P.S if you pay by cash you get 10% off the bill! Have you tried Korean food? What would you recommend for me to try next time? I promise I will try something different next time. As always, my writing and honest views. Funnily enough I was stuck between here and the Indian Brewery for a dinner date on Wednesday but the newbie won out. This is high on the list though. Looks great! Korean is my absolute favorite cuisine ever! 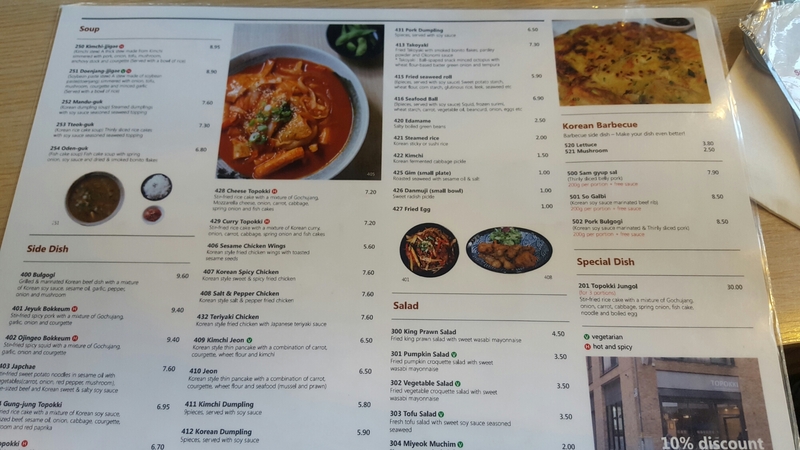 I must recommend Miss Korea as my favourite restaurant in Birmingham. It’s right opposite the entrance to the Arcadian car park, so still very close to Chinatown. It doesn’t look much but the food is sublime, dumpling soup and bibimbap are my favorites here but it’s all good. I haven’t tried Korean food yet either, this is definitely on my list to try! I’m really intrigued by the rice tea as well, it sounds right up my street.